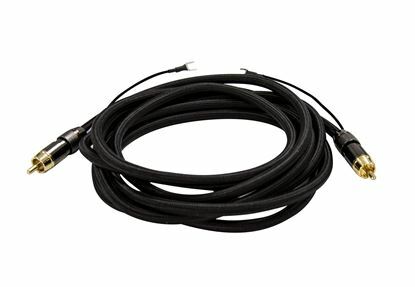 DYNAMIX 2m RCA Audio Video Cable, 4 to 3 RCA Plugs. Yellow RG59 DYNAMIX 2m RCA Audio Video Cable, 4 to 3 RCA Plugs. Yellow RG59 Video, standard Red & White audio with gold plated connectors. 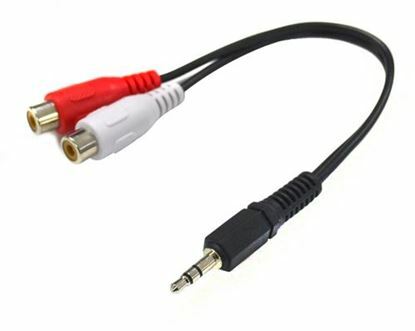 DYNAMIX 3m RCA Audio Video Cable, 6 to 3 RCA Plugs. Yellow RG59 DYNAMIX 3m RCA Audio Video Cable, 6 to 3 RCA Plugs. Yellow RG59 Video, standard Red & White audio with gold plated connectors. 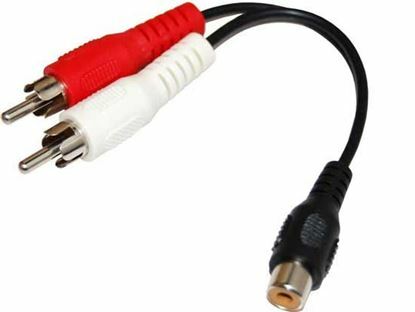 DYNAMIX 5m RCA Audio Video Cable, 7 to 3 RCA Plugs. Yellow RG59 DYNAMIX 5m RCA Audio Video Cable, 7 to 3 RCA Plugs. Yellow RG59 Video, standard Red & White audio with gold plated connectors. 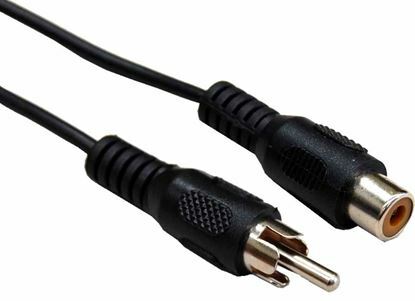 DYNAMIX 7.5m RCA Audio Video Cable 8 to 3 RCA Plugs. 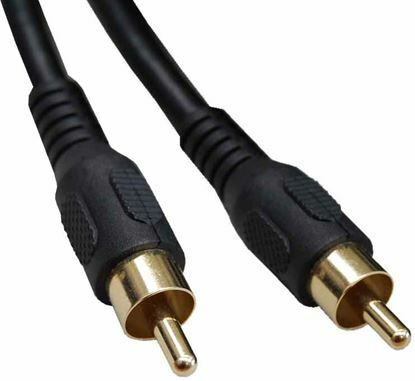 Yellow RG59 DYNAMIX 7.5m RCA Audio Video Cable 8 to 3 RCA Plugs. Yellow RG59 Video, standard Red & White audio with gold plated connectors. DYNAMIX 10m RCA Audio Video Cable, 3 to 3 RCA Plugs. Yellow RG59 DYNAMIX 10m RCA Audio Video Cable, 3 to 3 RCA Plugs. Yellow RG59 Video, standard Red & White audio with gold plated connectors. 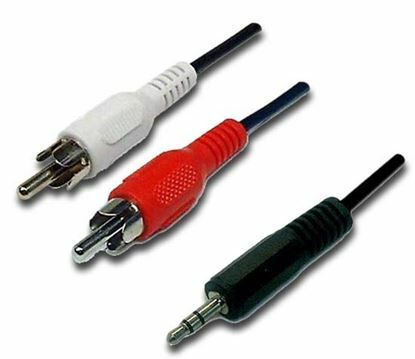 DYNAMIX 15m RCA Audio Video Cable, 3 to 3 RCA Plugs. 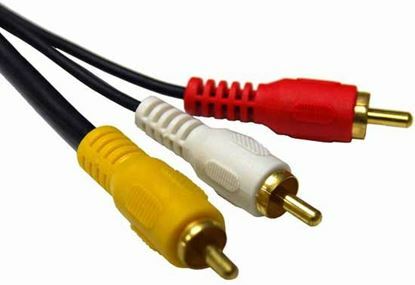 Yellow RG59 DYNAMIX 15m RCA Audio Video Cable, 3 to 3 RCA Plugs. Yellow RG59 Video, standard Red & White audio with gold plated connectors. 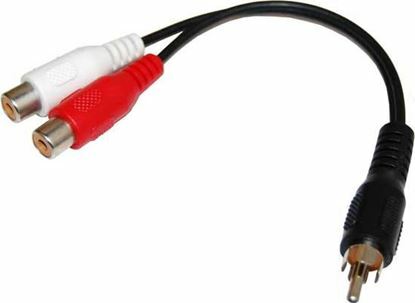 DYNAMIX 20m RCA Audio Video Cable, 5 to 3 RCA Plugs. Yellow RG59 DYNAMIX 20m RCA Audio Video Cable, 5 to 3 RCA Plugs. Yellow RG59 Video, standard Red & White audio with gold plated connectors. 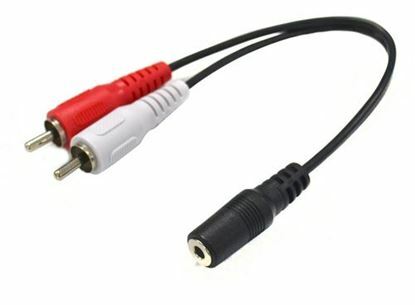 DYNAMIX 2m RCA Audio Cable 2 RCA to 2 RCA Plugs, 30AWG, Coloured Red DYNAMIX 2m RCA Audio Cable 2 RCA to 2 RCA Plugs, 30AWG, Coloured Red & White. DYNAMIX 2m RCA Plug to Socket Extension Cable, 30AWG. DYNAMIX 2m RCA Plug to Socket Extension Cable, 30AWG. DYNAMIX 2m RCA Digital Audio Cable RCA Plug to Plug, High Resolution DYNAMIX 2m RCA Digital Audio Cable RCA Plug to Plug, High Resolution OFC Cable. DYNAMIX 5m RCA Digital Audio Cable RCA Plug to Plug, High Resolution DYNAMIX 5m RCA Digital Audio Cable RCA Plug to Plug, High Resolution OFC Cable.